Before joining the faculty at MSUB, Dr. McNally was awarded a Woodrow Wilson Fellowship, and worked for three years on the Rosebud Reservation in South Dakota. She was serving as Academic Dean of Sinte Gleska College (now University) when it became the first tribally controlled College to obtain accreditation. Mary has long been active in support of Billing's social and cultural programs and her involvement with conservation and business and environmental issues is practical as well as educational. 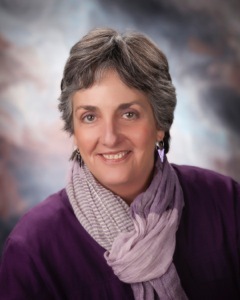 She was a member of the Energy and Conservation Commission for the City of Billings. The Commission was formed as a citizen’s advisory board to review policies and practices regarding energy consumption and conservation, and to make recommendations to the City Council. Mary is also a board member of the Friends of Public Radio, and an alumnus of Leadership Montana. She also served on the boards of the Alberta Bair Theater and Community Seven, and was a member of Zonta, an international organization of executives in business and the professions working to advance the status of women. She is a cancer survivor, and previously volunteered for Reach to Recovery.